The Aspire Reax Mini Kit combines the awesome Tigon Tank with the all new Reax Mini Mod and the outcome is pretty outstanding. We have had the sample for a short time and you will not be disappointed at all. The Tigon Tank is a very good hybrid tank meaning it supports both MTL & Sub ohm vaping via different coil options and airflow choices. Amazing design with edging that is both eye catching and grippy. The Aspire Reax Mini comes in 4 different colours with a colour option to suit most. All styles are very nice in the flesh and not one ugly sister in the group. Small, compact and yet full of some really nice features. The Reax Mini holds 6 Pre-Set power settings which includes of course the bypass mode. The mod will auto read the coil and switch the power to a recommended setting, you can of course select your own. If the coil reads below 1.0ohm the device when enable bypass for you. Power modes are 8w, 10w, 12w, 14w an 16w. The Tigon Tank offers leak free filling, 2 different coils - 1.2ohm for MTL and 0.4ohm for Sub ohm. 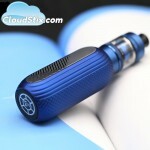 In addition to that two variants of airflow are offered as well to suit both styles of vaping. 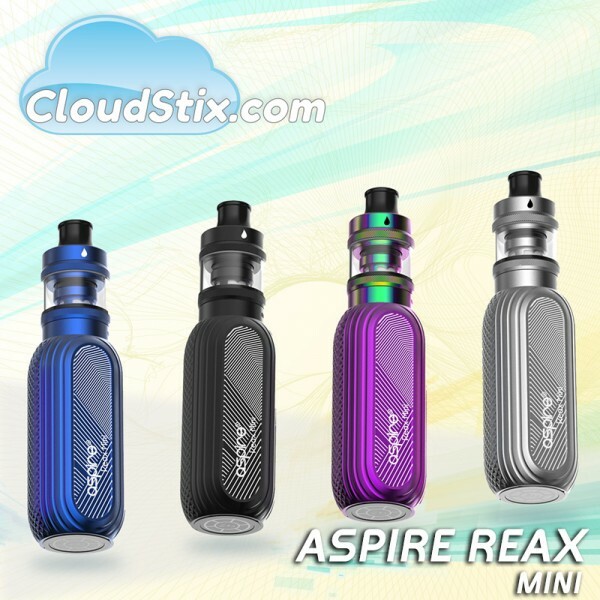 The Aspire Reax Mini has an internal 1600mah battery. Certainly more than enough if you use MTL coils but may require a midday top up if you purely Sub Ohm. The good news is that charging is so easy via the mirco usb cable and the device gives clear indicators as to the current charging state via LED. The same LED will also show you battery strength when using it throughout the day so you always know where you are at. 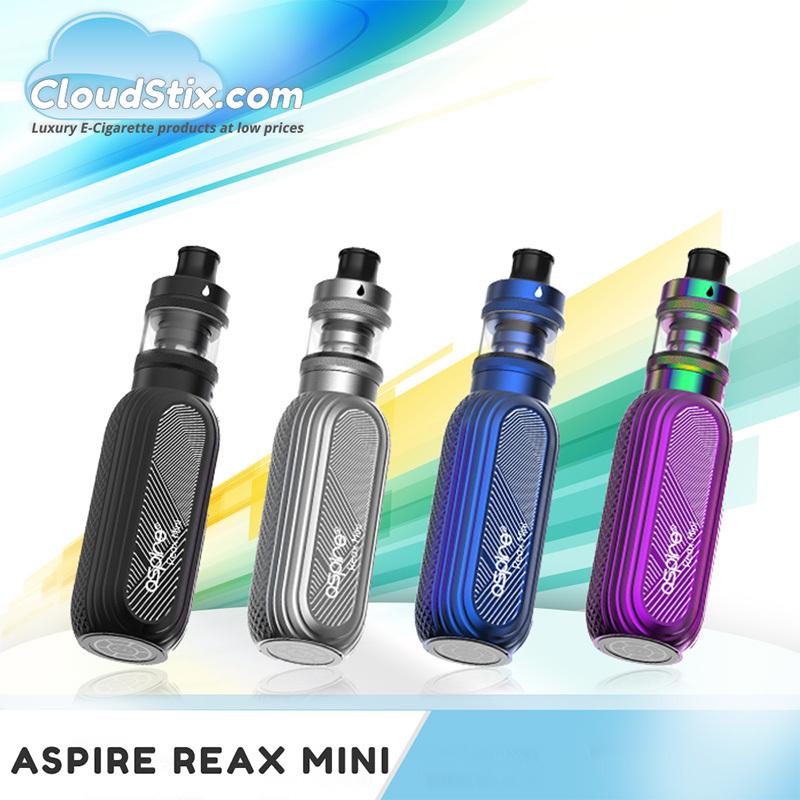 Having sampled the beta version we are big fans of the Aspire Reax Kit and think a full range of users will enjoy it for sure. New users in MTL mode will be in heaven and Sub Ohm Hybrid users will certainly appreciate the great flavour the Tigon coil will produce. Lets take a look at what you will be getting with the kit. 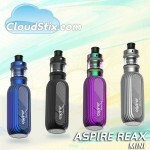 Without a doubt the Aspire Reax will be a hit in the UK. At its price point and the options it gives we certainly recommend it to all types of users. Yes it looks a little like an OBS Cube but do not judge the product on that at all. 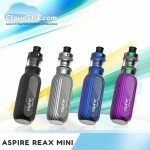 In most cases it is what is under the hood that counts and the Aspire Reax Mini certainly delivers. Aspire Tigon Tank UK IN STOCK NOW The Aspire Tigon Tank UK supports all lovers of vaping. .. 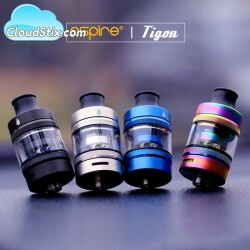 Aspire Tigon Coils UK The awesome Aspire Tigon Coils, launched with both the Aspire Tigon Kit and..